Vulcans like to drink it hot! 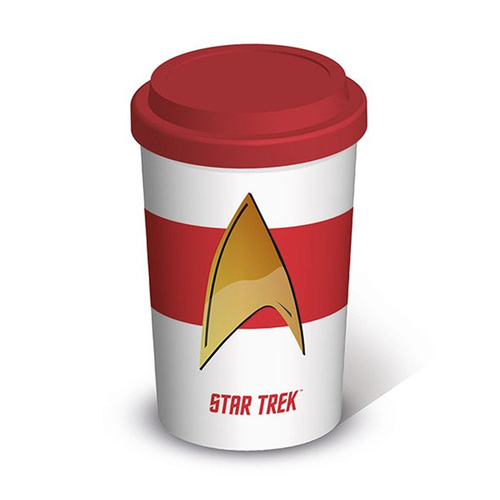 For all Star Trek Original series fans, this cool travel mug will keep your favourite beverage of choice nice and warm as you travel from star system to star system. The mug is 13.5cm tall and 9cm wide at the top giving you a good amount of space for any liquid you choose to use it with. This travel mug is logical in its design however cannot be used to help you complete the ritual of Kolinahr. Shiny Gold Star Trek Emblem. Buy this Travel Mug and Live Long and Prosper!